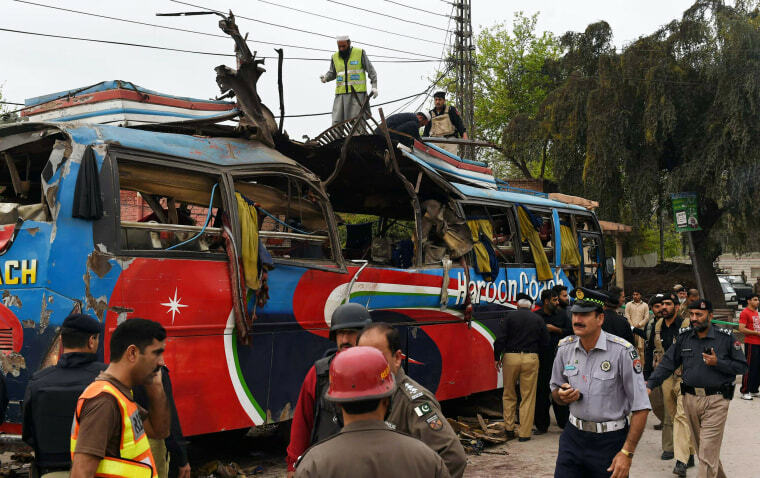 A bomb ripped through a bus carrying Pakistani government employees in Peshawar on Wednesday, killing 15 people, according to the police. 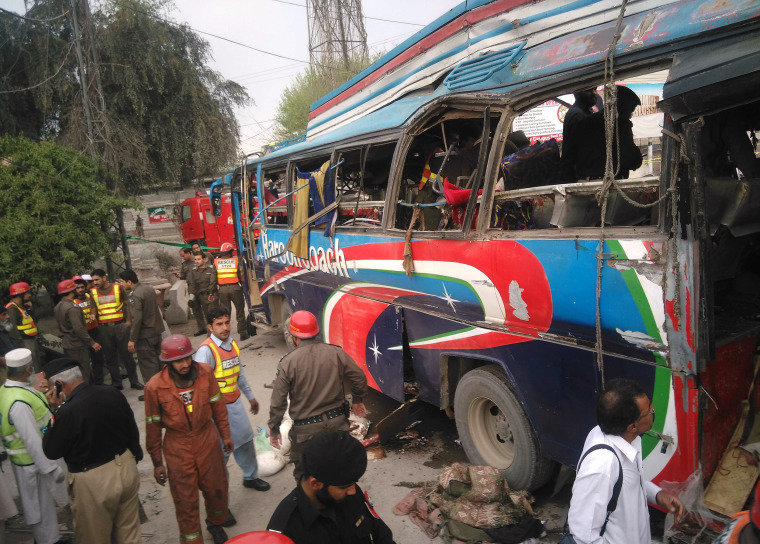 Police officers, rescuers and volunteers surround a bus following a bomb blast in Peshawar, Pakistan on Wednesday, March 16, 2016. 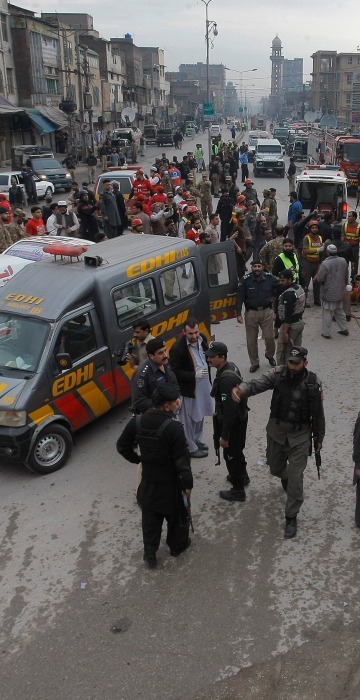 Taliban-affiliated militant group Lashkar-e-Islam has claimed responsibility for the attack. 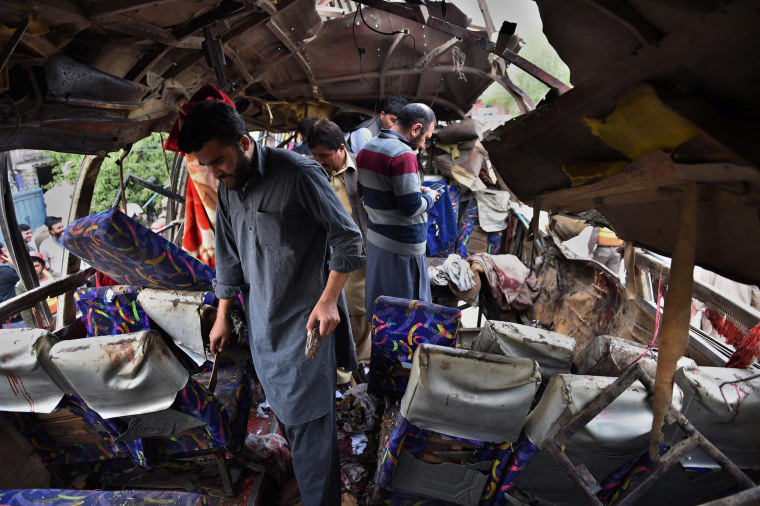 Pakistani police officers search a damaged bus after the bomb blast in Peshawar on March 16, 2016. 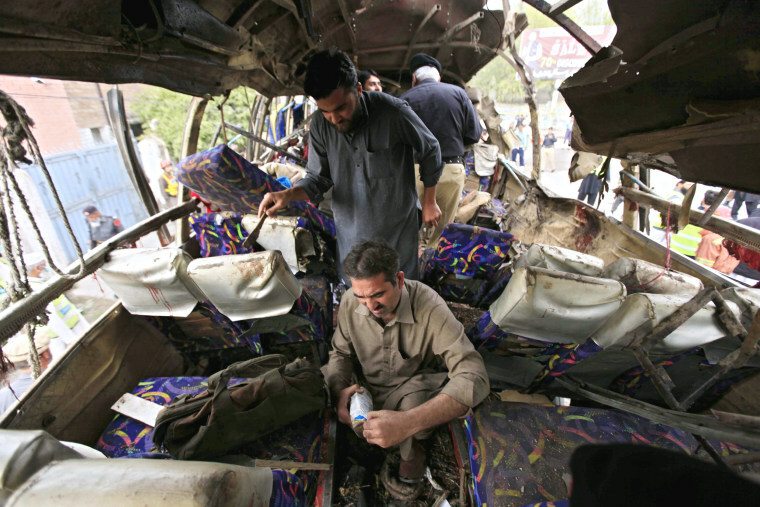 Pakistani security forces and volunteers inspect the destroyed bus. The bombing has killed at least 15 people and injured more than 30. 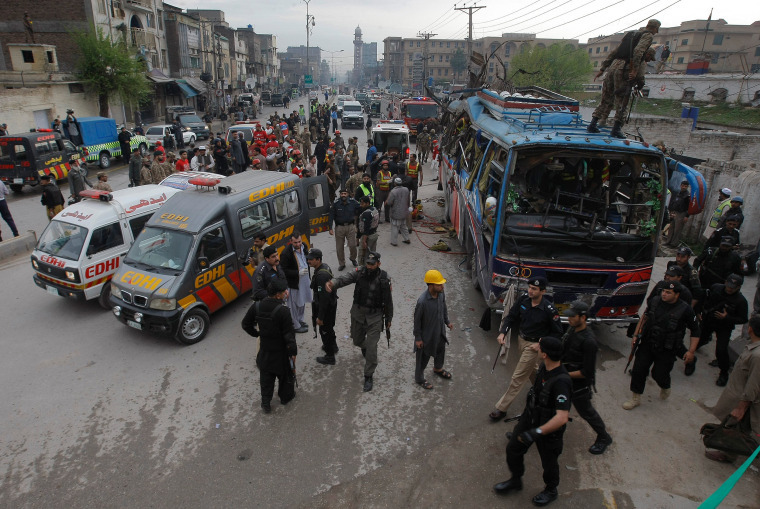 Rescue workers and security officials inspect the scene of the bomb blast in Peshawar on March 16. NBC News has learnt that the blast was triggered by an approximately 22-pound explosive device. 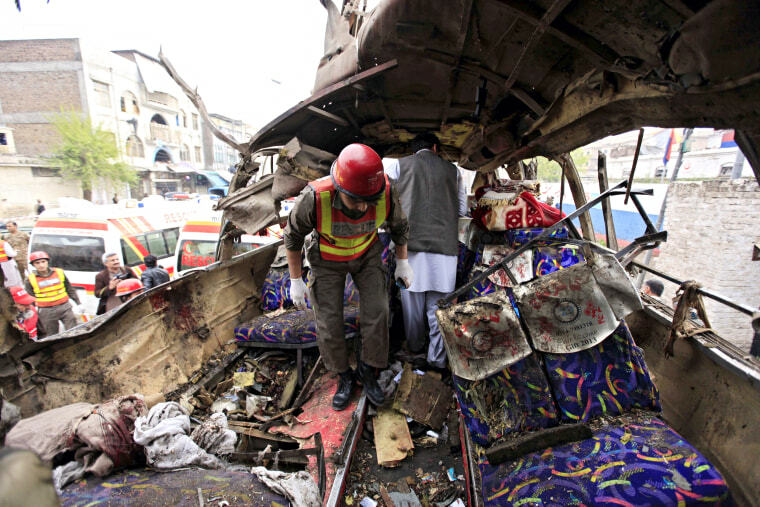 Security officials inspect inside the targeted bus after the bombing in Peshawar on March 16. Volunteers search the destroyed bus. 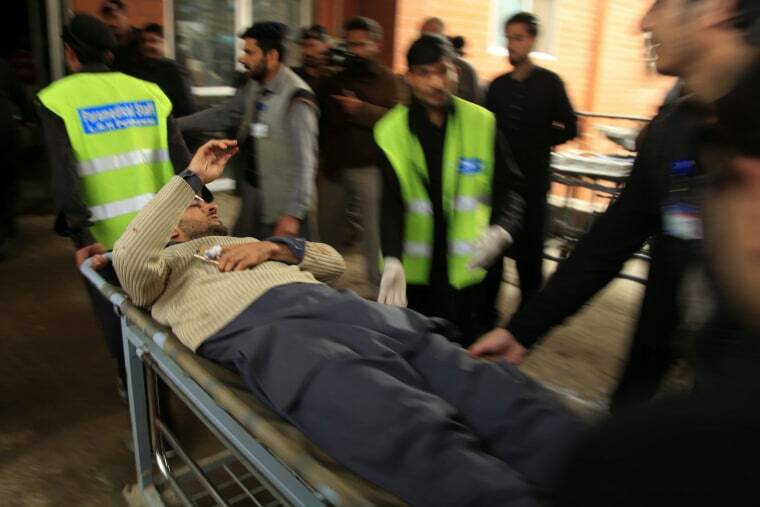 The bus was taking government employees from several nearby towns on their daily commute to work at the provincial secretariat in Peshawar, according to police official Abbas Majeed Marwat. 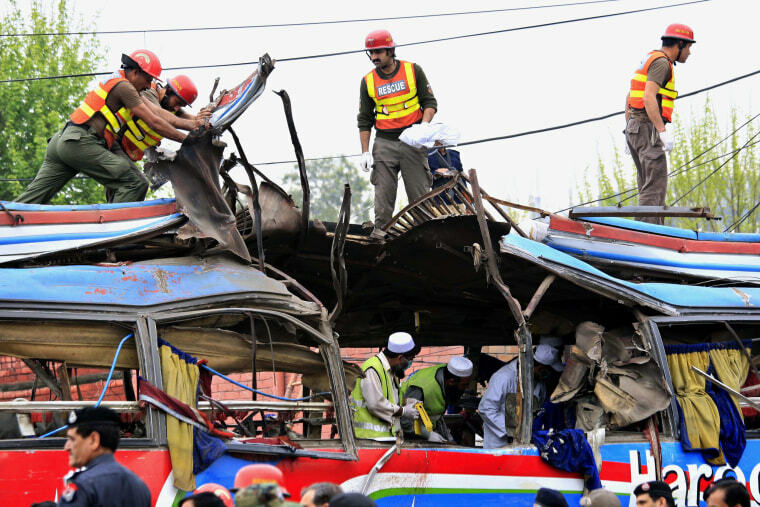 Rescue workers inspect the scene where a bomb hit a bus. 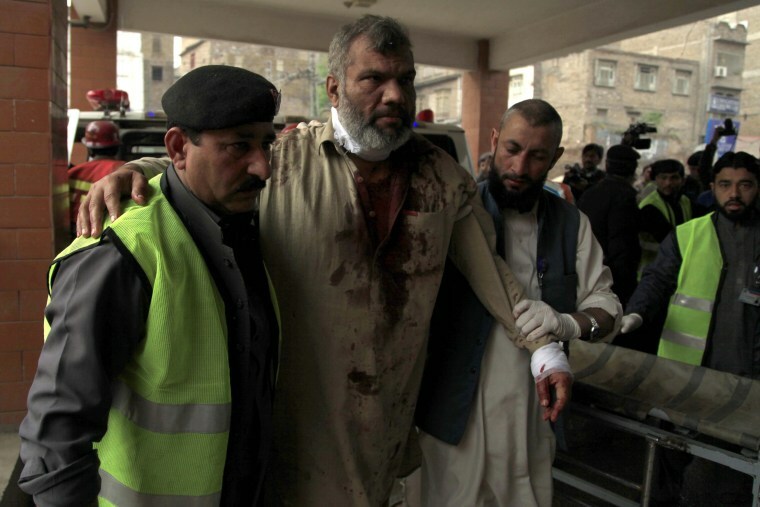 A man who was injured in the bomb blast is rushed to a hospital in Peshawar on March 16. 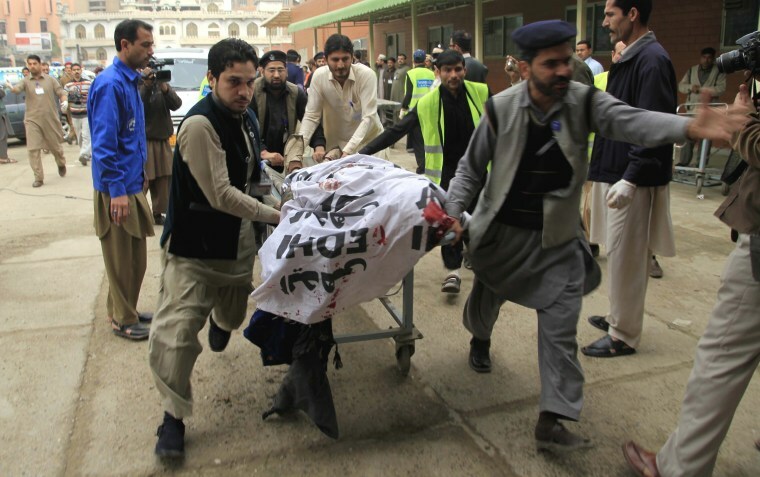 Peshawar, the capital of Khyber Pakhtunkhwa province, is still reeling from a December 2014 massacre at an army public school in the city that killed 150, mostly children. An injured man is being helped at a hospital. 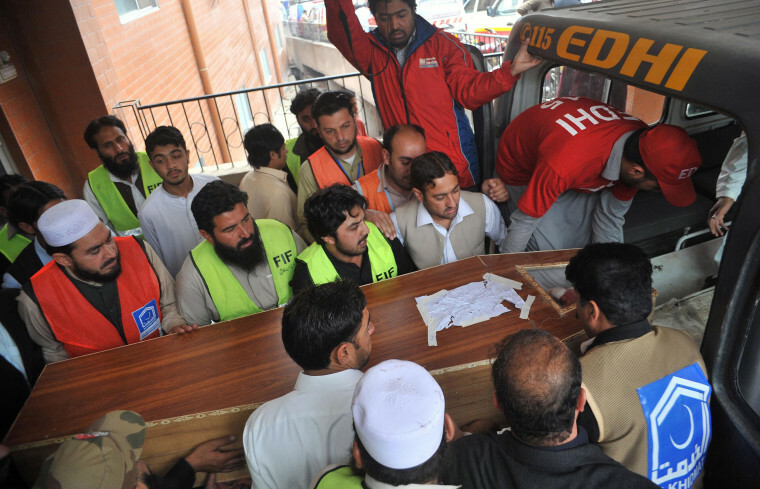 Volunteers transport the coffin of a blast victim following the bomb explosion in Peshawar on March 16, 2016.